Last winter’s dog coat looking a little shabby? Maybe the toy basket has lost its fun? Or perhaps your dog is now bored with his no longer favourite treats? Whatever the reason, it’s a new season and there’s a whole load of pet swag to snap up this AW16. Totally on point for this season’s puffa trend and we love the eye-catching blue hue. 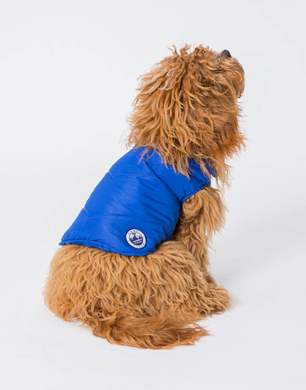 Featuring a popper stud fastening, your dog will love making winter adventures in warm comfort and hip style. 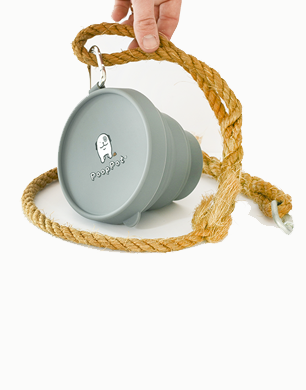 This handy little buy does what it says on the pot – it carries your dog’s shizzle you dizzle! However, it’s only meant as a stopgap for your poop bag until you reach a bin, and has an airtight lid to contain any stink. For dogs, who don’t like to share (who does? 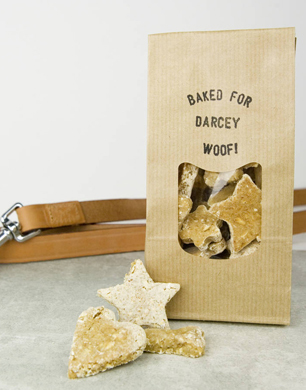 ), these hand-baked, human grade treats come in a bag personalised with your dog’s name. With no added sugar or salt, each tasty bite is made from natural ingredients that are said to have a health benefit for a dog. Pawmesan and Peamutt are just two of the lip-smacking flavours. We’re dreaming of dozing in style on this pillow-style bed in soft velour. Bringing a touch of decadence to the art of hound slumber, you get two styles in one, being able to flip the bed whenever you fancy a colour change. 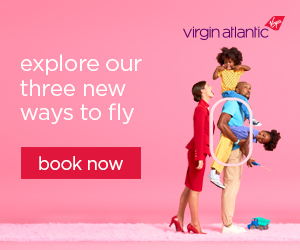 We hear that the velour fabric is designed to cope with rogue hairs exceptionally well, with only a brush off or a quick hoover to maintain a pristine look. 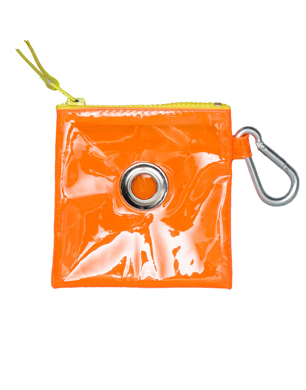 Ware of the Dog have waved their New York style wand to add a touch of cool to the necessary evil of dog ownership, with their neon bright vinyl poo bag pouch. Scramble around your handbag no more and wear with pride – just fix to your person with the carabiner clip and whip out a bag through the eyelet hole. 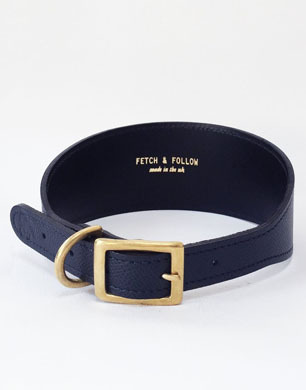 Textured leather, strong brass fittings, classic navy and limited edition make this one of our top AW buys to last for seasons to come. A must-have pawdrobe essential for city and country canines alike. For hounds that do harnesses, they don’t come cooler than this black leather variety from the Leather Dog Company. Unlike fabric versions they won’t get messed up with shedding fur either. Throw on your leather biker jacket for a tough hound and human look. 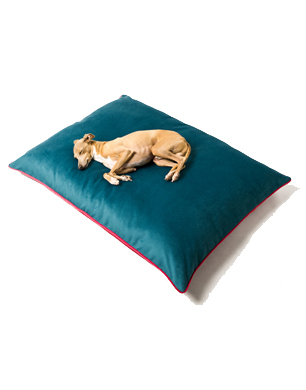 A sleek and stylish flop-out pad that’s great for weekend breaks or keeping in the car to roll out for your dog at the end of a long country walk. 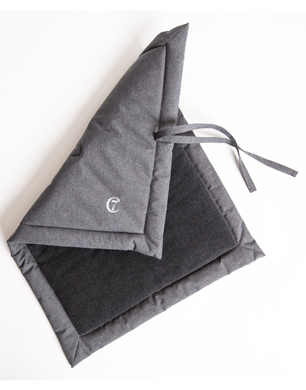 The bedside is padded with super soft fleece, and the mat has a waterproof outer should you stop for an outdoor refuel. Peanut butter fun without the calories. 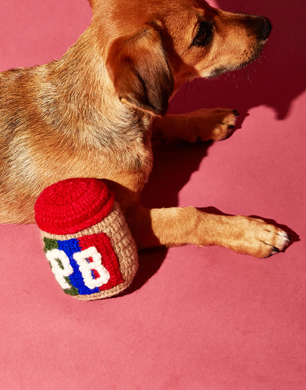 This knitted jar of play comes with a squeaker to drive your dog pea-nuts! If your pup hates bath time, speed up the process after muddy autumn walks with this 2-in-1 blend of essential oils and extracts, designed to clean and condition your dog’s coat. Paws up to this all-natural approach to fur care.